Having a job should guarantee your family doesn’t live in poverty. But right now that’s not the case. Millions of working people are trapped in low paying, insecure work with no path out. Theresa May might think this is fine, but we don’t. Raising the National Living Wage to £10 per hour would give a pay rise to 4 million people. That’s why today, on the 20th anniversary of the minimum wage, we’re calling on the Prime Minister to take action. I support £10 per hour for all workers. This pay rise would go a long way to ensuring those on the lowest wages have enough to pay the bills, put food on the table and find somewhere permanent to live. Millions of people in working families are living in poverty and this isn’t an accident. The system has been designed to benefit a few, while the rest struggle to afford the basics. The minimum wage was a victory for union campaigning. It will only continue to rise if we take a stand. We were told it would bankrupt the country. Instead it gave workers earning as little as 90p per hour a fair deal. 20 years on, the fight to end working poverty goes on. Workers need a £10 minimum wage now. 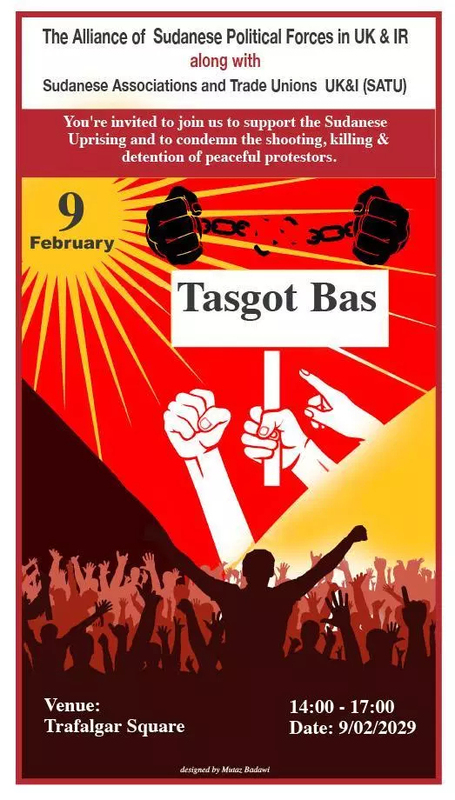 Sudanese activists will be organising protests in Liverpool and London on 9 February, as trade unionists across the country are moblising in solidarity with their demands for democratic change and social justice. Sudanese refugees in Liverpool will gather at Lime Street station at 1pm, while Sudanese activists will also gather in Trafalgar Square in London at 2pm the same day. The demonstrations, which bring together activists from different areas in Sudan, and UK-based members of the Sudanese trade unionists and political organisations, follow several weeks of protests in cities around the UK. 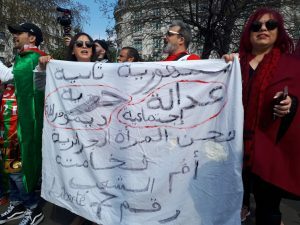 UK trade unions are mobilising in support of the uprising in Sudan, and to demand an end to UK arms sales and diplomatic backing for Omar El Bashir’s brutal regime which has thrown thousands in jail during the last few weeks, and killed dozens of demonstrators. 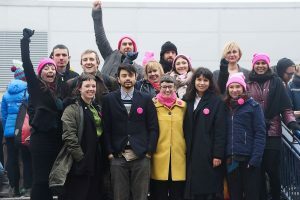 Liverpool TUC, Liverpool University UCU and Stockport NEU have all passed motions raising these demands, and other branches will be considering similar motions in the coming weeks. A statement for trade unionists to sign has been launched by MENA Solidarity which has attracted support from leading activists in UCU, NEU and UNISON. 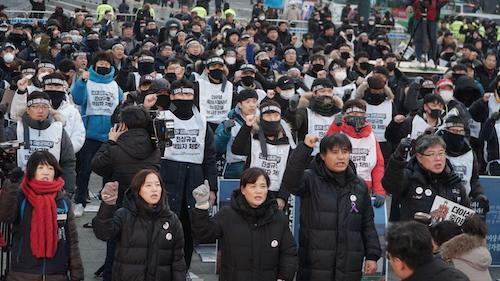 Korea: Stop the Outsourcing of Danger – Justice for Kim Yong-gyun! Kim Yong-gyun, a 24-year-old subcontracted worker was killed after getting stuck in a coal conveyer belt at the Taean Power Plant. Kim was working alone in the dark, doing extremely dangerous work. According to the occupational health and safety rules in the manual, Kim should have been working in a team of two. Excessive cost-cutting following the outsourcing of power plant fuel operations and maintenance means that this work is now done alone. This shocking event has sparked a national movement in Korea against the ‘outsourcing of danger’ endemic in the power plant industry and throughout the Korean economy. 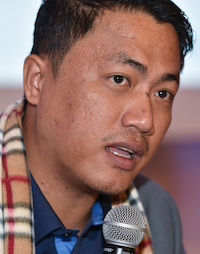 The KPTU President and 5 other coalition leaders have been on an unlimited hunger-strike since 22 January, calling for an investigation into the incident and punishment for those responsible. PSI and KPTU have launched a campaign calling on the government to carry out an investigation, make the necessary safety improvements in the power plant industry and carry out the insourcing and direct permanent employment for subcontracted workers in the industry. Just three years ago our movement was instrumental in stopping TTIP, the EU-US trade agreement. It wasn’t easy. Together, we collected 3.3 million signatures. Hundreds of thousands of you protested in the streets. We took on the corporations, the lobbyists, 28 governments and the EU Commission. And we won! Now we have to do it again to kill off ISDS – which was one of the most dangerous parts of TTIP – once and for all. Over the last three years, this system has been badly wounded. For the first time, with a strong push in 2019, we can get rid of it for good. A Europe-wide campaign against ISDS and for more corporate accountability has just started to make the best of this opportunity! Sign the petition to support the new campaign now! ISDS stands for ‘Investor-State-Dispute-Settlement’. It is an obscure parallel justice system only accessible to large corporations. They can use it to sue states and prevent new rules that were intended to protect people and the planet. If on the other hand people are harmed by a corporation, they often don’t have any way of winning justice. This is a horrendous injustice! Some ISDS cases are well known, like Vattenfall demanding 5 billion Euros of public money for the German nuclear exit. But hundreds of other scandalous cases are still receiving close to no public attention. And new treaties containing a parallel justice system for corporations even keep on being signed! In order to stop ISDS we need to oppose these new deals and get rid of existing ones. Click here to sign the new petition to end ISDS! This week, corporations are gathering in Davos at the World Economic Forum. They will dine and chat with world leaders until Friday. Those companies include Chevron, which sued Ecuador to avoid cleaning up their oil pollution in the Amazon, and still refuse to pay the victims of their dirty business. Cargill, which sued Mexico after the Government implemented a tax on sugar to address the country’s obesity crisis. Dow Chemical, which sued Canada for banning harmful pesticides, and dozens more. Today, we crashed their party. Our colleagues from the “Rights for People, Rules for Corporations” campaign are in Davos. 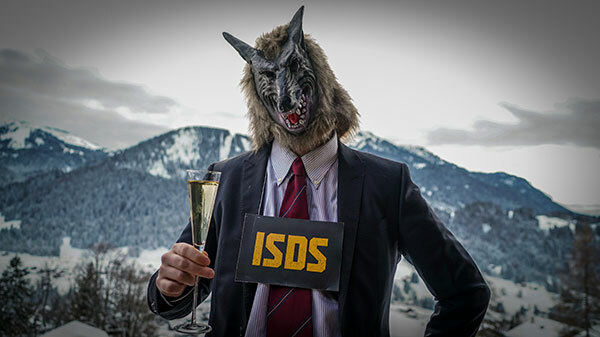 Dressed as wolves, they revealed that more than 40 corporations attending the World Economic Forum have used ISDS to sue governments and extracted vast sums of taxpayers’ money. Some of these same corporations have infringed on human rights but people and the planet cannot bite back. It is time to stop this injustice! We demand the EU and member states to support a tough global system that can punish multinationals for their crimes. We need rights for people and new rules for corporations! ISDS must be stopped! And 2019 is the year to do it. Please join this new movement and sign the petition today! New research I’ve published today reveals that 42% of homes sold off under Right to Buy in London are now being rented out by private landlords at market rates – up from 36% in 2014. 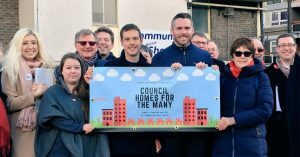 That’s at least 11,000 more council homes in the hands of private landlords than there were five years ago, a shocking transfer of wealth from the many to the few. My report also reveals that councils in London are spending at least £22 million a year renting back their former council homes to house homeless families. These were homes they were forced to sell at a discount that they now have to pay market rates to rent back. This is ludicrous, and the blame lies squarely with Tory government policies. 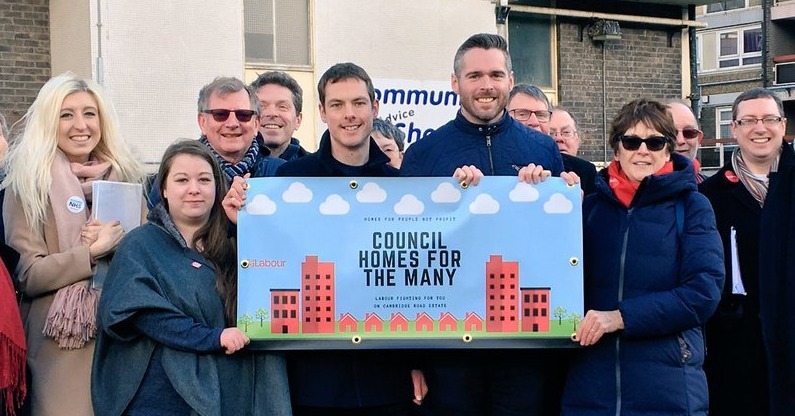 Many Labour councils across London are building new council homes again for the first time in a generation. But we risk treading water or even going backwards if we continue to lose precious existing homes through Right to Buy. That’s why I’m asking you to take action by signing this petition demanding that Theresa May ends Right to Buy in London and across England. It’s already been abolished in Scotland and Wales. You can read my full report “Right to Buy: Wrong for London” here. Nearly 300,000 council homes in London have been sold off under Right to Buy since 1980. Let’s tell the government to put a stop to it. If you agree, stand with us today. Sign here.